A bipartisan pair of legislators Wednesday unveiled a bill designed to get schools to buy more of their food from local farmers. The bill seeks $2 million to fund an annual grant program that would reimburse schools and early child care providers who use local foods, based on the number of meals served. "This bill is good for local farmers. It's good for our children, and it's good for local economies too," said Rep. Todd Lippert, DFL-Northfield, who sponsored the bill along with Sen. Michael Goggin, R-Red Wing. A similar bill introduced in 2017 made its way through House and Senate committees but was not included in a final spending bill. Schools often have to work against the grain to get food from local farmers, said Erin McKee, community food systems program director for the nonprofit Institute for Agriculture and Trade Policy. "It's not set up for it to be very easy to order food from your local farmers as opposed to big, national distribution companies," McKee said. "It's clear that it's a systemic problem that policy can help change." Ben Doherty, co-owner of Open Hands Farm in Northfield, Minn., said selling food to Minnesota schools has helped his farm grow and had a ripple effect on other farms near him. "When we started, there was not much fruit and vegetable production around," Doherty said. "As our farm has grown and thrived with the help of institutions and schools ... other farms are starting to thrive around us — both beginning farmers and multi-generational farmers." 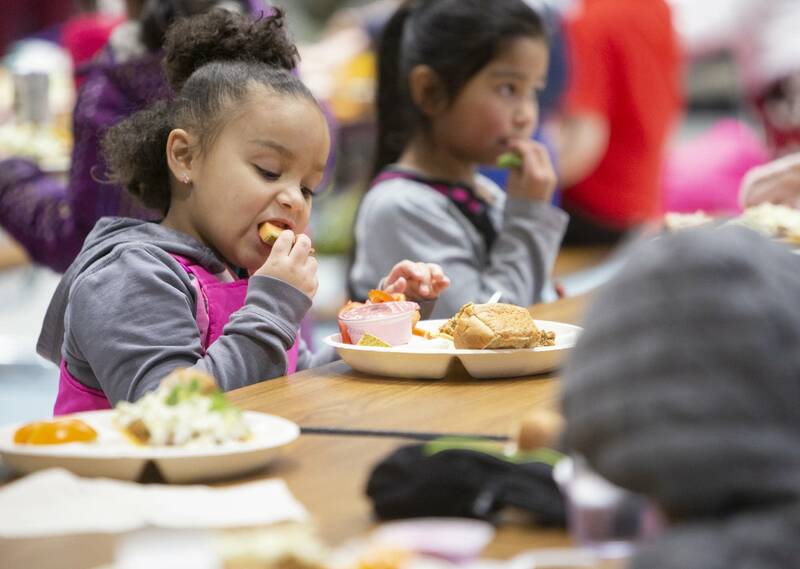 Minnesota schools feed a lot of children, including the nearly 40 percent of Minnesota public school students who are eligible for free and reduced-price lunch. Goggin said about half the students in Red Wing schools qualify for free or reduced-price lunch. "Fortunately our communities come together and we provide lunches all year long, so this [legislation] is something that's needed," he said. "This is a first step."